We’re only one week away from SMITE for Xbox One entering its Open Beta on July 8. Every Xbox One user will be able to play SMITE for free through the Xbox Games Store or by visiting the game's website. For gamers interested in learning more about this exciting MOBA, the Official SMITE Wiki on Gamepedia is a comprehensive resource for gameplay tips, God information, and SMITE tournament dates. In an exciting E3 announcement, the team behind Beyond: Flesh and Blood revealed that the game will be available for Xbox One next year. This story-led 3rd person shooter from Pixelbomb Games places you in the shoes of Ethan, an engineer tasked with regaining control of Manchester, UK. Learn more about Beyond: Flesh and Blood on the Official Wiki. We're extremely excited to announce the launch of CODpedia at Gamepedia, where you will be able to keep up with professional Call of Duty players, teams and tournaments! To coincide with our competitive game wiki launch for Call of Duty, we are also running a contest where the community will have a chance to win a of Call of Duty: Ghosts Hardened Edition for Xbox One! For full details on the contest, how to enter and restrictions, please see the contest page. CODpedia will be the one place for fans of e-sports and Call of Duty to stay on top of tournaments, follow teams and their roster changes, and track upcoming events through the calendar, which also posts past events. The database comes complete with 100 pro players, 24 teams and 36 major tournaments. CODpedia will even be hosting their own tournaments! CODpedia also tracks pro points and placings. But that is not all! CODpedia also has a lot of great features on the horizon for the community! Coming soon to CODpedia will be live event coverage, embedded streams, pages to follow your favorite casters, and photo galleries. Even more will be coming, as well, so be sure to keep an eye on CODpedia to watch as it expands as the community's greatest resource for Call of Duty's competitive side! Competitive with wikis as you are with gaming? Become an editor at CODpedia and show off how good you are! Want to contribute, but not sure how or where to get started? Check out the Help Wiki for tutorials or come say hi to us in IRC! 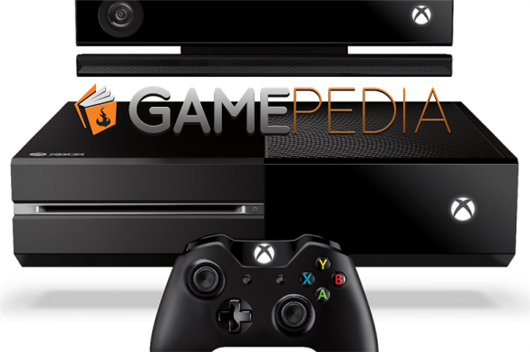 /Join #Gamepedia for access to staff and community members. This year has been surrounded with excitement, especially after we saw what was to come at E3 this summer. Not only were we given a glimpse of the games that would be releasing this year, but next generation consoles were by far the highlight of the yearly expo! We've seen the launch of the PS4 and now it is time for the Xbox One to shine. This launch, with out a doubt, has been highly anticipated! Games have made exclusivity deals as well to either be Xbox One only, or have content exclusive for the console. We at Gamepedia have been exceptionally happy to see how impressive the community is with showing off their skills in our recently run contest for next generation consoles and related games! 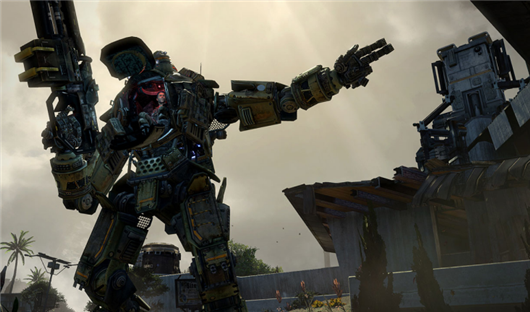 Not only have wikis such as The Division Wiki, Destiny Wiki and Ryse Wiki had recent overhauls and tons of community created content added, but the Madden 25 Wiki has exclusive data to Gamepedia and we recently announced The Official Titanfall Wiki! Be sure to see what your fellow community members have been up to, and if you'd like to join in as a contributor, have a look at the Help Wiki for tips and tutorials! Thanks again to the amazing Gamepedia community for continuing to make all of the wikis here so incredible! New Giveaways for Next Generation Consoles and Games! Just as we end our League of Legends giveaway, we launch several more to keep the giveaways happening! This time, we have a multitude of loot to be won, ranging from t-shirts, games and even next generation consoles! Show us how excited you are for next generation console games by being the best possible editor on the Titanfall, Destiny and The Division wikis for a chance to win a Playstation 4 or Xbox One!! All edits and contributions from now until November 15, 2013 will count for these giveaways, so get ready to show the community how awesome you are at editing wikis! Unfortunately because of legal matters, these giveaways are valid for U.S. and Canadian residents only. By helping us make sure that Gamepedia continues to be the number one resource for the gaming community, you will have the chance to win some really cool prizes! Log in before editing your wikis to keep track of your contributions. Gamepedia staff will use edits to determine who is creating great content to share with the community! If you're not sure how start contributing, we have many resources for you! Each wiki has a dedicated Help Page on the sidebar and there is the new Gamepedia Help Wiki, which has tutorials and more in-depth coverage. In addition, wikis also have Community Discussion Pages, where you may interact with staff and other community members. One more way to interact, is by joining us in the #Gamepedia IRC channel! 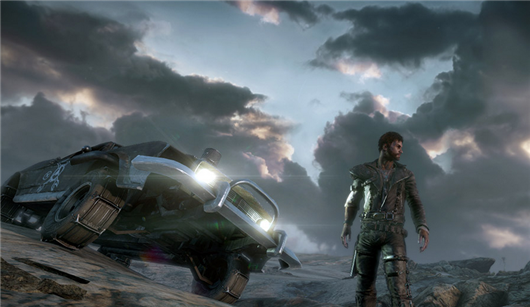 This year's E3 showed us one game that is highly anticipated for 2014: Mad Max. Based on the movies, this single-player vehicle combat game from Avalanche Studios is a promising next gen console game! In addition to being available for the Playstation 4 and Xbox One, Mad Max will be playable on Xbox 360, Playstation 3 and Windows. The Mad Max Wiki has had a recent overhaul, ready for the community to jump in and contribute as soon as information becomes available! You play as Max, a man on a mission. That mission being that your beloved vehicle is missing and you're on the hunt to have it returned to you! Cory Barlog, famous for his work on God of War, is directing Mad Max, which surely adds to the excitement. While not much else is known about the game, we do have stunning visuals of gameplay and concept art. When new information for Mad Max is released, the wiki is ready and waiting for you! If you're interested in becoming a contributor, please see the Mad Max Help Page. There is also the new Gamepedia Help Wiki for more in-depth tutorials and contribution tips and the wiki community may also be found in IRC. We saw so many upcoming games this year at E3 that amaze us, and Watch Dogs, the new title from Ubisoft, is no different. The Watch Dogs Wiki is the highlight of this week's New Wiki Monday, which hosts information for and by the Watch Dogs' community. This title will be available for both next and current gen consoles, as well as the Windows platform. Watch Dogs takes place in an alternative version of Chicago. You play the game as Aiden Pierce, a renegade hacker, who finds would-be victims to rescue them from their attackers and evades the police by hacking into cell phones, super computers and other electronics. 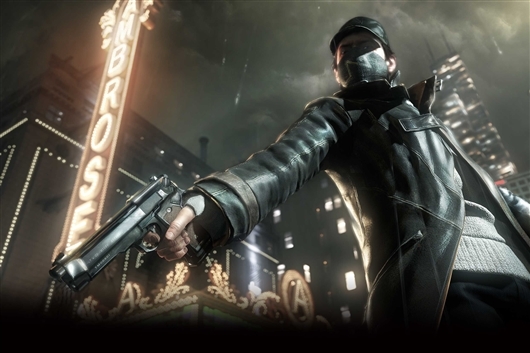 Multi-faceted combat includes parkour and stealth, and Watch Dogs has multiplayer elements available, such as trying to hack the main character. When you're not exploring the alternative Chicago of Watch Dogs, be sure to assist your offline community by becoming a wiki contributor! The Watch Dogs Wiki relies on the amazing people who update, edit and add content when they are not in game. You may join this dedicated group by looking at the Watch Dogs help page, the Gamepedia Help Wiki and check out the IRC channels, where you can find Gamepedia employees and community members! The Division, developed and published by Ubisoft, was announced at this year's E3 and is sure to be one of the big games for next generation consoles. Gamepedia's The Division Wiki is the source for all of the latest information and is the highlight for this week's New Wiki Monday! Set in the five boroughs of New York City, The Division takes place in a newly post-apocalyptic world, after a deadly disease breaks out on a Black Friday, which cripples the entire United States within five days. 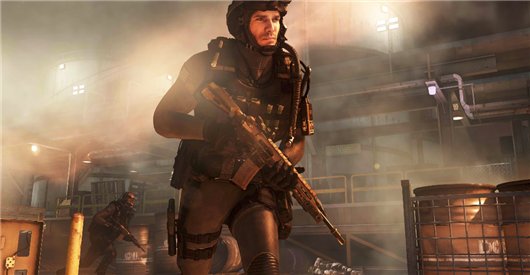 Players will be part of the Strategic Homeland Division, with the mission of doing what it takes to save what is left of humanity in this massively multiplayer action shooter with RPG elements. The game allows for co-op, player versus player and player versus AI. When you're not teaming up with your friends to scavenge weapons to better fight for survival, why not join the community of editors and contributors at The Division Wiki? Anyone interested in joining is highly encouraged to do so! For information on how to get started, please see the help page for tips! While Project Spark is still in beta, its community is already rapidly growing, with a large pool of dedicated and passionate builders, excitedly ready to share their creations with the world! Our wiki for Project Spark is brand new and is already seeing a good amount of contributions and activity! Project Spark is an open sandbox game for Windows 8 and Xbox One. It also supports SmartGlass and Kinect, allowing for players to push the limits of their creativity! Developed by Team Dakota, Project Spark is accepting applications to help beta test. There is no concrete release date for Project Spark currently, but the game will be free to play! We always welcome community contributions, as Gamepedia is built for and by the community! Want to help build Project Spark's wiki, but don't know where to start? Have a look at the help page for tips on contributing and editing!